Speaking as eurosceptic voices in France and Italy grow louder, Coeure said granting this option would break the channel through which the ECB transmits its monetary policy to the economy, that is financial markets and the banking sector. "An exit option would create a permanent impairment of the transmission mechanism of monetary policy in the European monetary union," Coeure told an audience in the Dutch town of Maastricht, where the Treaty on European Union was signed in 1992. The reference to the "transmission mechanism" evoked the crisis of 2010-12, when break-up fears were preventing banks in different euro zone countries from lending to each other and the interest rates paid by debt-laden governments in Greece and Italy had soared compared to Germany's. 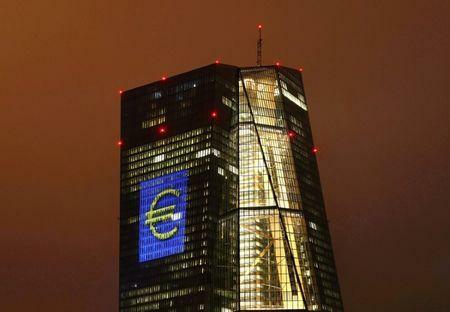 Since then, the ECB has calmed markets by pledging to help countries in distress if they sign up for certain conditions, as well as by flooding the euro zone with cash and granting banks ultra-cheap loans. But bond spreads, particularly on peripheral and French bonds, have been widening again in recent months as eurosceptic parties gained ground ahead of key elections in the Netherlands, France, Germany and, possibly, Italy. Coeure emphasised the ECB would not turn into a "lender of last resort" for governments and he shot down the prospect of money transfers between rich and poor countries. "The monetary union was never meant as a transfer union," he said. U.S.-style fiscal transfers, feared by conservatives in cash-rich Germany, are seen as essential by some economists such as Nobel laureate Paul Krugman if the euro zone is to survive.